Laser surgery has been widely accepted as a higher standard of care in human medicine for over 30 years. It presents a host of benefits over traditional surgery, and in many procedures, it can replace the scalpel entirely. 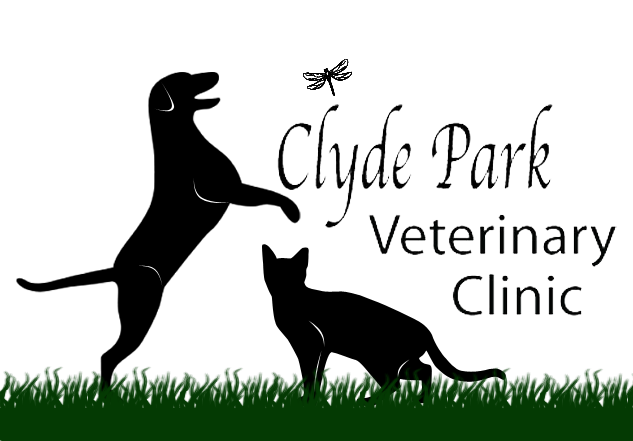 Clyde Park Veterinary Clinic is proud to offer this service to our clients. The laser seals nerve endings as it "cuts." As a result, your pet will experience less pain and be more comfortable after surgery. The laser seals small blood vessels during surgery. Because there is less bleeding, surgery is often completed more quickly, reducing the amount of time your pet will be under anesthesia. This further reduces potential complications. Physical contact between the laser and the surgical region is never established, thus eliminating the crushing, tearing and bruising of tissue associated with traditional surgical methods. Additionally, the CO2 laser energy acts as an antimicrobial/antibacterial agent by producing high temperatures, effectively eliminating microorganisms.